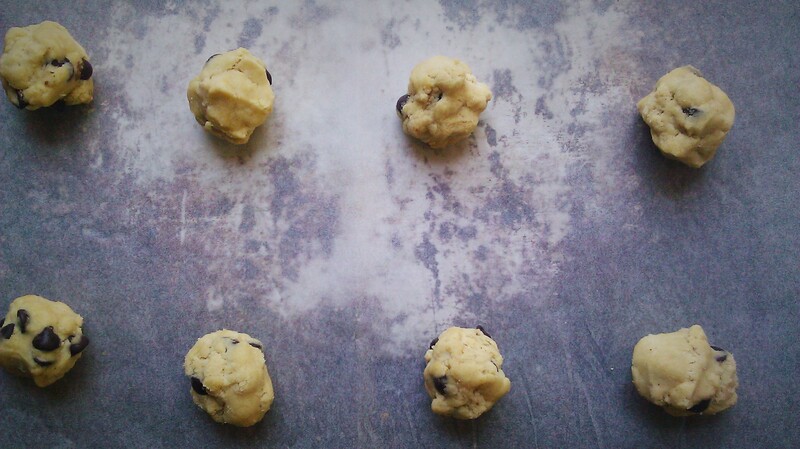 Brown Butter Chocolate Chip Cookies | happyspinach etc. There are some really exciting things going on… I’ll try to keep you posted as they happen. Until then, enjoy the sweets, sweethearts. 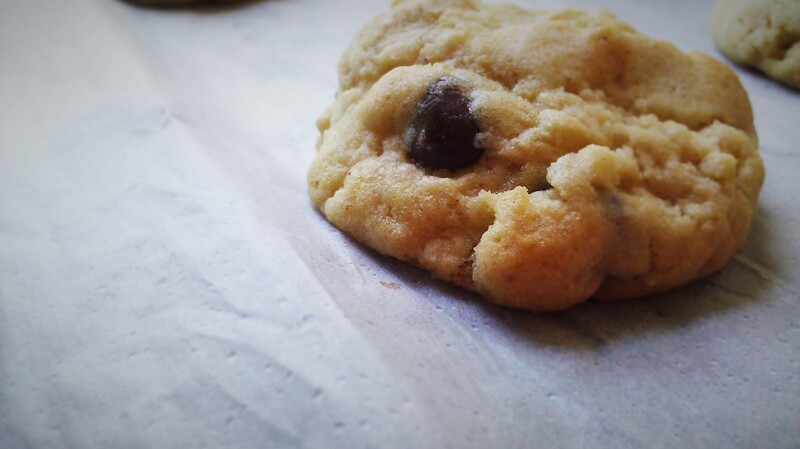 A combination of some of my favourite chocolate chip cookie recipes with my own additions and tweaks. While the recipe is on the classic side with simply chocolate chips and no walnuts or pecans, I dressed up the flavour with my favourite–buerre noisette. In addition, a key aspect to these cookies’ enigmatic chewy yet light texture is the combination of bread and cake flours. This has definitely become my family’s favourite, and I hope it will become yours too! 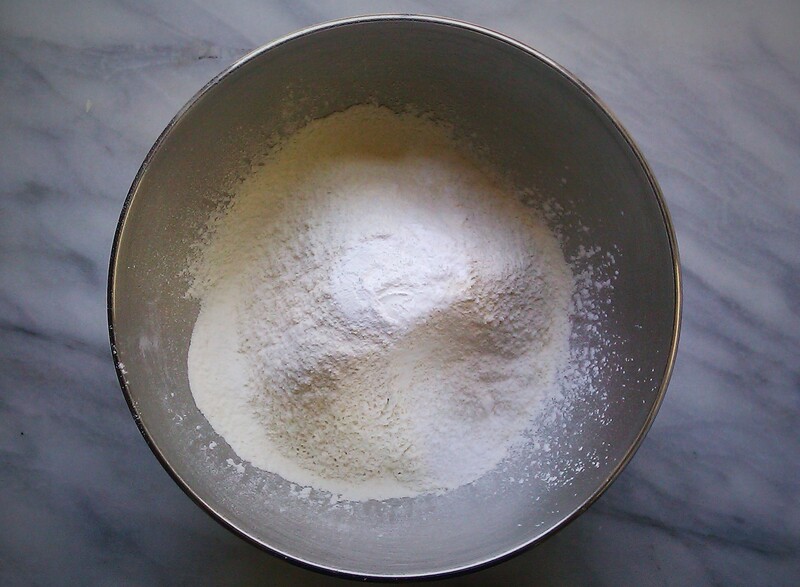 In a large bowl, sift together the cake flour, bread flour, baking soda, baking powder, and kosher salt. Stir to combine and set aside. 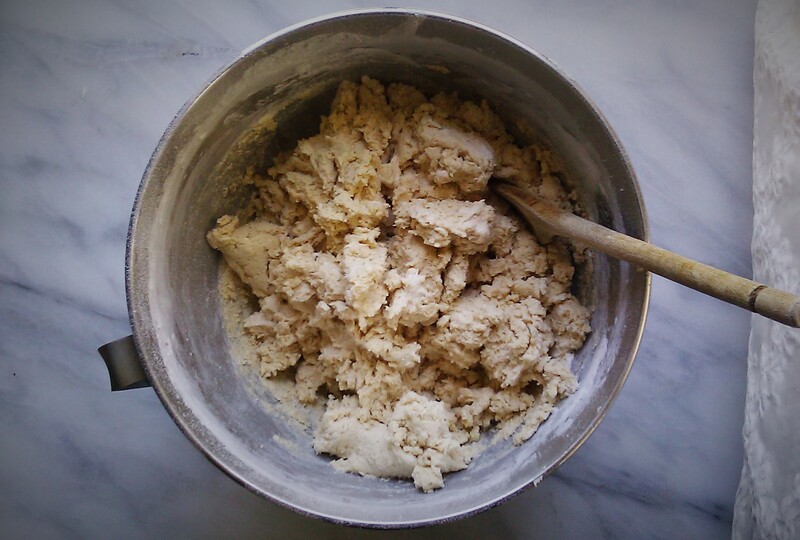 In the large bowl of your electric stand mixer fitted with the paddle attachment, cream together the softened butter with the unrefined cane sugar. Beat on medium speed until pale and fluffy, 5 minutes. 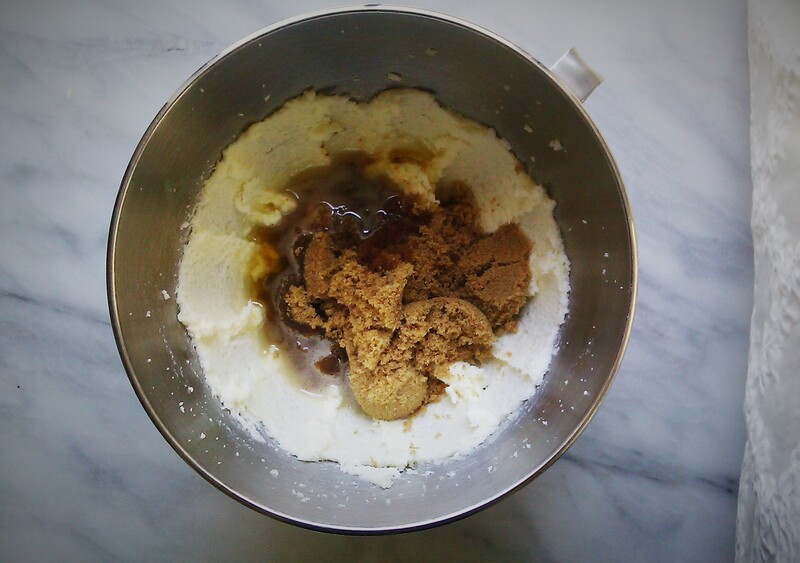 Dump on the brown sugar and cooled brown butter and mix again until thicker and fluffy, another 5 minutes. 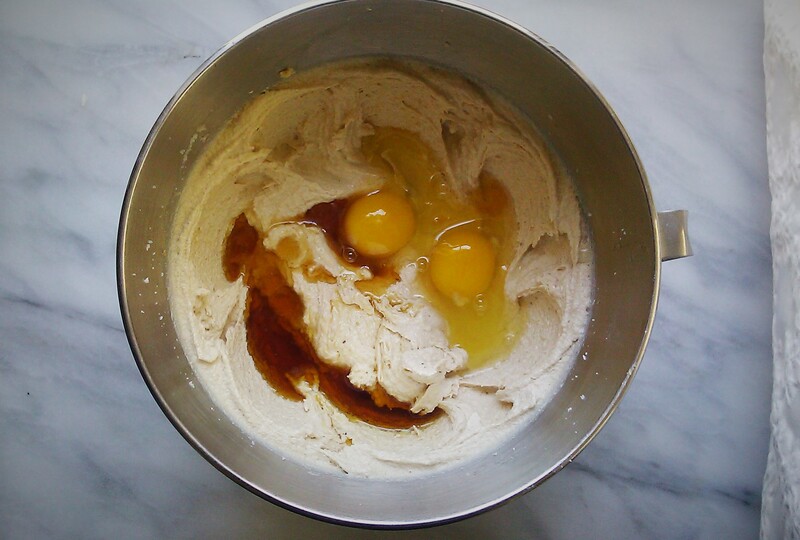 Scrape down the sides of the bowl and add in the maple syrup, eggs, and vanilla extract. Beat to combine, about 2 minutes. Dump in all the dry ingredients and combine on low until just combined, about 45-60 seconds. 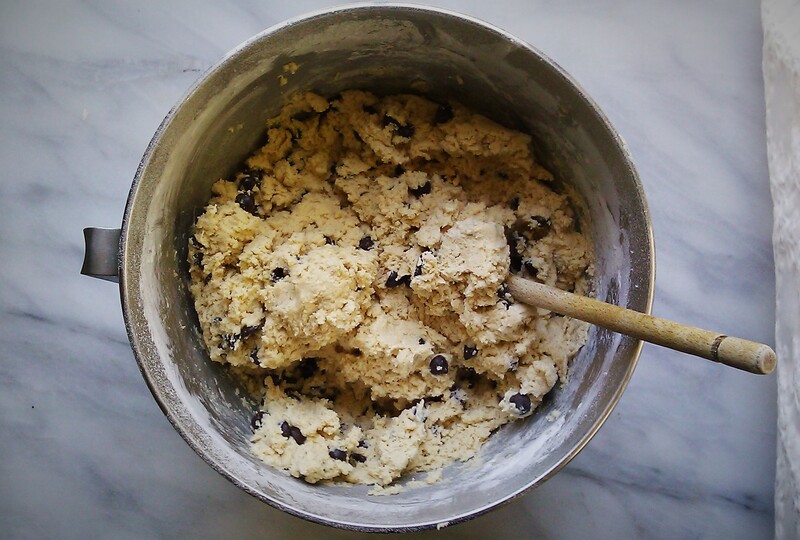 Remove the bowl from the mixer and, using a wooden spoon, mix in the chocolate chips. Divide the dough into 2-3 portions and seal each portion in some plastic wrap (kind of flatten it out to make it like a disk) and chill in the fridge for 24-36 hours. Once your dough has chilled, preheat your oven to 350 degrees F and arrange the racks to the upper and lower thirds of the oven. Line two baking sheets with parchment paper. 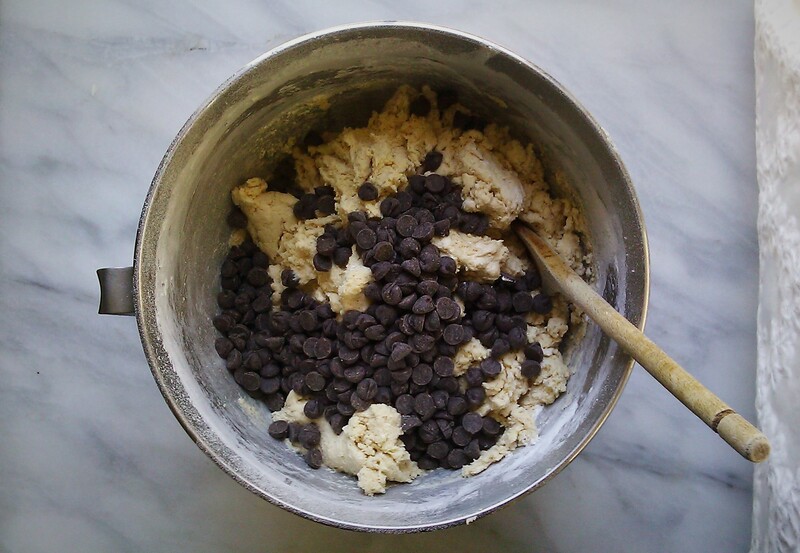 Using two spoons (or a small ice cream scoop), portion the chilled dough into heaping tablespoon portions. Using your hands, shape them into spheres. 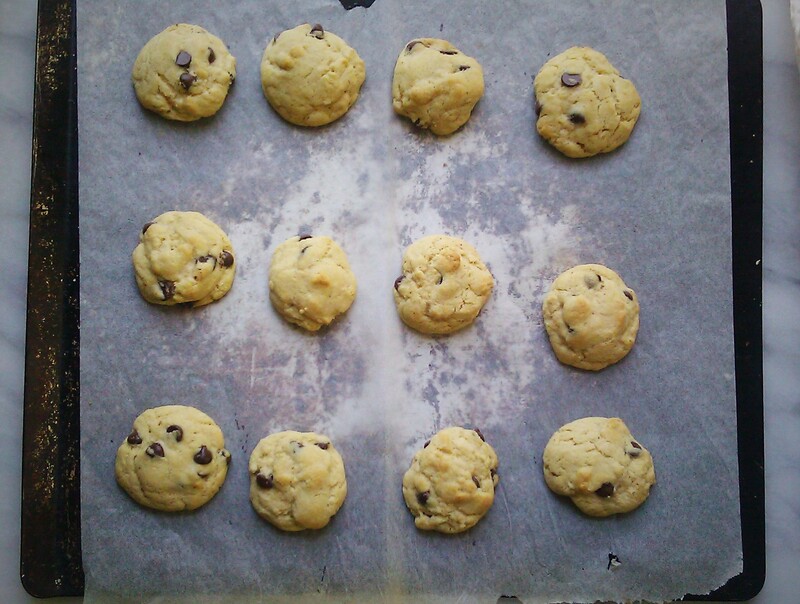 Arrange about 2 inches apart on the baking sheet and bake in the preheated oven for 8-10 minutes, or until the edges are just beginning to turn golden. Let cool on the baking sheet for 5 minutes and then transfer to a wire rack to cool completely. Store in an airtight container for up to one week. This entry was posted in Chocolate, Cookies, Freezer-Friendly and tagged Brown Butter, chocolate chips, Cookies, ny times chocolate chip cookies. Bookmark the permalink.